At Penrose Dermatology, we care for all of your skin care needs, including hair and nails. We offer medical dermatology services for all ages and you will be treated by a board certified dermatologist. On the day of your cancer screening, please remove make-up and nail polish prior to your appointment. Dr. Penrose examines your body from head to toe, including your hair. These appointments typically take 15 or 20 minutes and will be scheduled separately from a regular office visit. 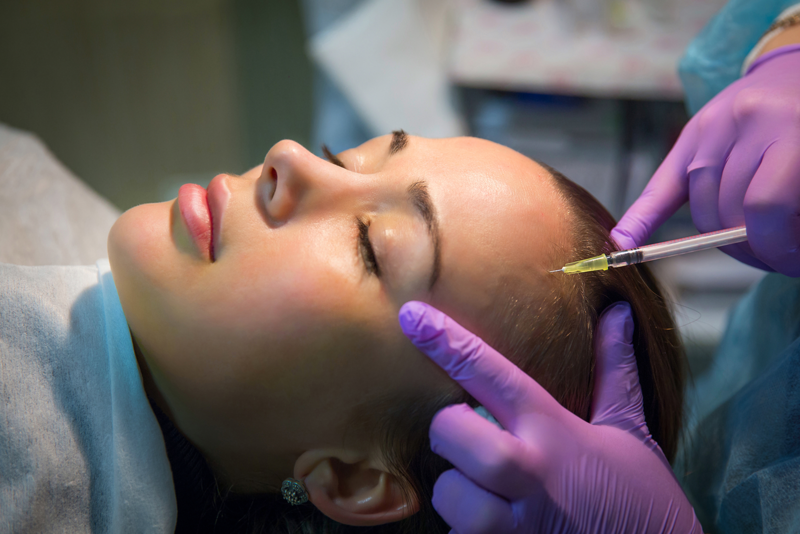 Penrose Dermatology offers a variety of cosmetic treatments, such as neurotoxins and soft tissue fillers. We believe that less is more in achieving natural results. During your cosmetic consultation, Dr. Penrose will review the right treatments for your skin. These are neurotoxin injections performed with a small needle to relax the muscles on your face, which cause dynamic wrinkles, such as lines from squinting or frowning. It takes approximately 2 weeks to see the full effect of the procedure and can last three to four months. With any cosmetic procedure there are risks. Most common adverse effect is bruising which typically lasts about a week. Please have a consultation with Dr. Penrose in the office prior to scheduling your first neurotoxin treatment. Soft tissue fillers are a synthetic gel made of hyaluronic acid, a component found naturally in our skin. We use them to correct volume loss and improve the appearance of wrinkles on the face. As we age, we lose bone, muscle mass and elasticity in our skin. With the loss of structure and elasticity, along with gravity, our facial skin begins to have a hallowed and wrinkled appearance. Depending on the filler type, one may be used for deeper volume correction, while another is used for lip augmentation or finer lines. The results will typically last from 6 to 12 months depending on the product. Dr. Penrose will choose what is right for your needs and review a cosmetic plan during your cosmetic consultation. Kybella is the first and only FDA approved injectable to treat submental fullness or the “double chin.” The main ingredient is deoxycholic acid, a naturally occurring acid in our intestines which aids in fat breakdown. When injected under the chin it functions to destroy fat cells, so they can no longer accumulate fat. In order to obtain the desired effect, multiple treatments are necessary. Chemical peels involve applying a mild acid to your face, exfoliating or stripping the top layer of your skin causing the deeper layers to become revitalized. Peels can help improve texture, discoloration and fine lines. There are different types of chemical peels (salicylic acid, glycolic acid, or Jessner’s peel) and a specific peel will be chosen based on your skin type and specific needs. There is usually mild stinging during the procedure and very minimal to no downtime afterwards. 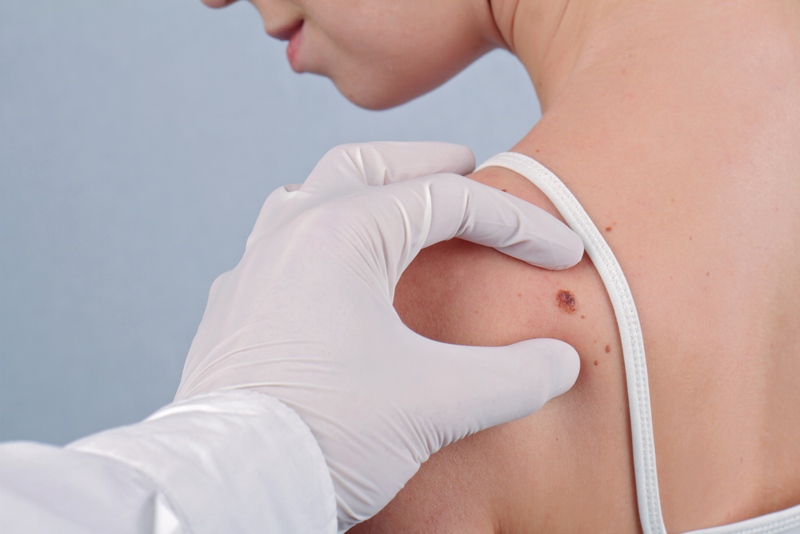 Skin tags are small growths of excess skin commonly found in areas of friction, i.e., neck, underarms and groin. These are benign growths and can easily be removed with a scissors or electrocautery.